Local, and some not-so-local gardeners and crafts people will exhibit their works, competing for prizes and trophies. It’s a show for all the family, with lots to see and do, but it's not just for gardeners. Categories include homecraft and handicraft, too. 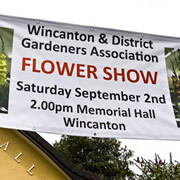 Wincanton & District Gardener’s Association is holding its 62nd annual show on Saturday 2nd September in the Wincanton Memorial Hall. It's not too late to get involved! The deadline for new entries is 9pm Saturday 26th August. 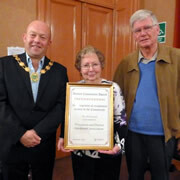 The Wincanton & District Gardeners' Association (WDGA) has been awarded the Wincanton Town Council Annual Community Award for 2016 in recognition of its exceptional service to the community. 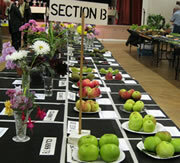 Wincanton & District Gardeners Association held its 61st Annual Flower Show on Saturday 3rd September in the Memorial Hall. 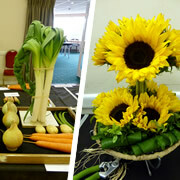 There was a high standard of entries and keen competition across all classes, including flowers and vegetabes as well as home and handicrafts. 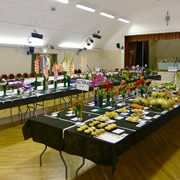 The Wincanton & District Gardeners Association Annual Flower Show will take place on Saturday 3rd September in the Memorial Hall, and will include entries widely varing from flowers, veg and fruit, to crafts, baking and even handwriting. Wincanton and District Gardeners Association celebrated its 60th Flower Show on September 5th 2015. The number of visitors who attended the show during the afternoon were double that of the previous year. 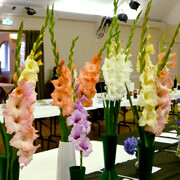 Our Annual Show is on Saturday 1st September at the Memorial Hall, Wincanton. We hope you will join us and enter some things for the Show that you have managed to grow, cook, paint, sew or photograph this year! Local girl Adele Rodgers, currently studying for a BSc Hons degree in Horticulture with Business Management, is returning to Wincanton on Friday 4th February to present a talk and slide show entitled "A Student at Chelsea". Jane Findley, Gardeners' Association Secretary, writes about their interesting programme and the benefits of membership. 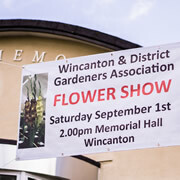 The Memorial Hall was filled with Wincantonians and friends on Saturday afternoon 4th September for Wincanton & District Gardeners' Association 55th Annual Flower, Vegetable, Produce & Craft Show. Recently members of the Wincanton Gardeners Club filled a coach for a visit to the Price of Wales' Garden at Highgrove. June Spencer describes her day.